All of the above prices include post and packaging within the UK. P&P on multiple orders may be less. Please enquire. Contact: Graham Beckett, 77 All Saints Lane, Nettleham, Lincoln, LN2 2NG. 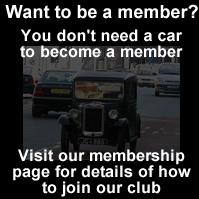 Please make cheques payable to "The Pre-War Austin Seven Club Limited". Overseas buyers please contact us for P&P costs and details of payment methods.